The Ladysmith Resource Centre Association (LRCA) is again organizing the Annual Cinnamon Bun Fun Run charity event in early December and the general public is invited to participate in a 10km run or 5km run/walk fun run with the idea of raising money & donations for the LRCA. The starting flag drops at 9:30 am sharp! Note that registration for this event is online only and there is no same day registration. This late fall run is a great way to move outdoors and exercise just before Christmas so that extra helping of food doesn't make you feel so guilty!! 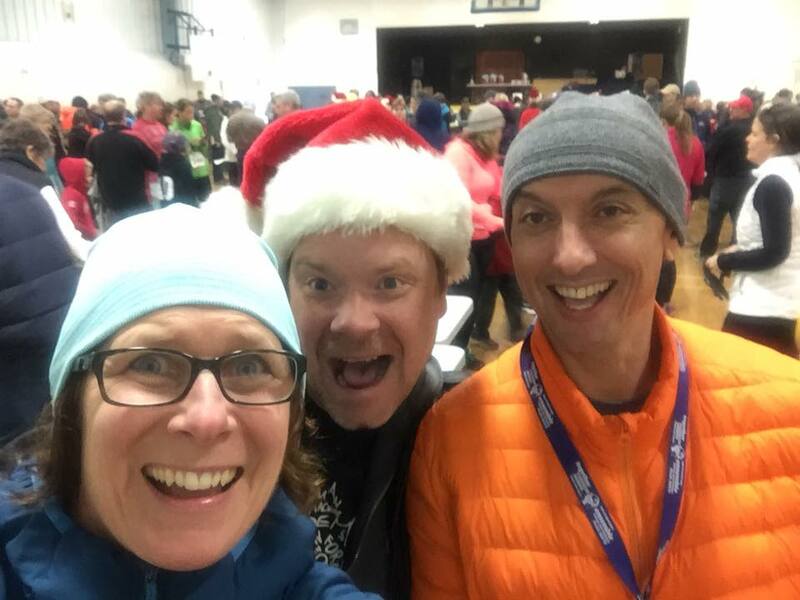 This year we again start and finish from the Frank Jameson Community Centre (FJCC) and the bonus is that there will be cinnamon buns, hot chocolate, coffee, and/or water waiting for you when you finish your run. These refreshments will all be provided inside the FJCC gym so stick around after the run for closing ceremonies and a face-full of delicious cinnamon buns and hot chocolate. Let's see how much support we can provide for the LRCA Food Bank! 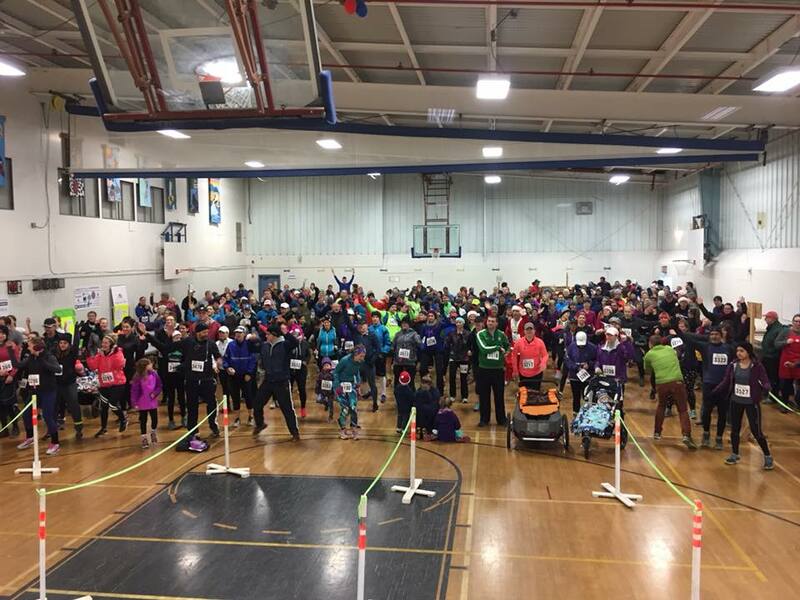 As it has been since the beginning, our Cinnamon Bun Fun Run is supported through the efforts of a large number of volunteers from our community. Thank you to all that help out on race day. Thanks as well, to our corporate sponsors LCU Insurance Agencies Ltd., Frontrunners, Old Town Bakery, Ladysmith & District Credit Union, PAR4 DJ Services, and Vancouver Island Physiotherapy Clinic. Special acknowledgement to the Town of Ladysmith for road closure support during race day and for the use of the Frank Jameson Community Centre. 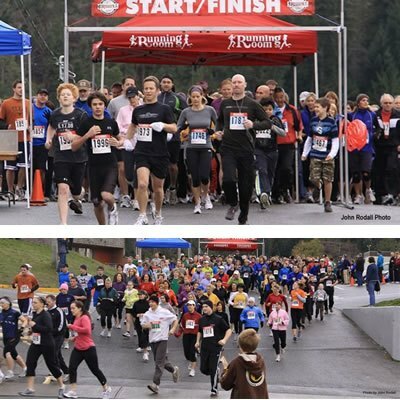 In 2006, the Ladysmith Striders Running Group decided to give back to the community and thought that organizing a charity walk/run to immediately follow Ladysmith's Annual Festival of Lights would both provide the healthy outdoor family event just before the holiday season and some needed resources to the Ladysmith Resource Centre Association. 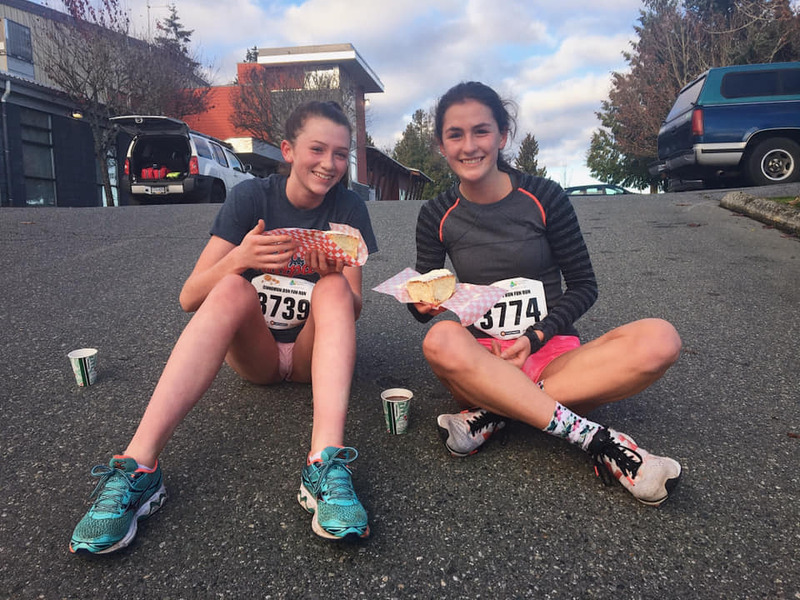 In order to foster family participation, the Ladysmith Striders Running Group made the event a fun run exercise by adopting a event timing strategy that involved "predicted finishing time" for participants walking or running a five kilometer course, or running a ten kilometer course. 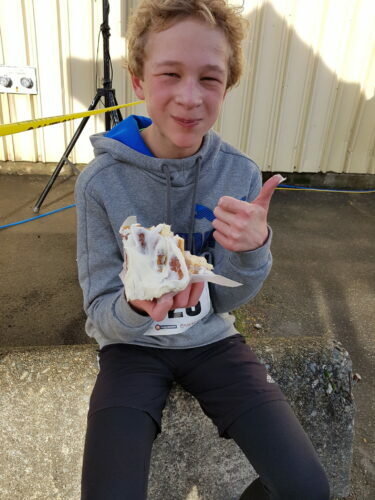 To reward the exhausted finishers, participants were offered hot chocolate and sweet and gooey cinnamon buns - hence the name Cinnamon Bun Fun Run. 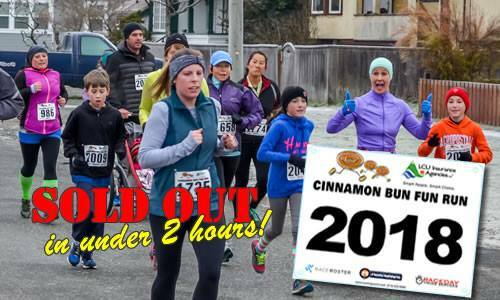 The Cinnamon Bun Fun Run is scheduled to take place on the Sunday after the Ladysmith Festival of Lights in late November or early December and is presented in all weather conditions. 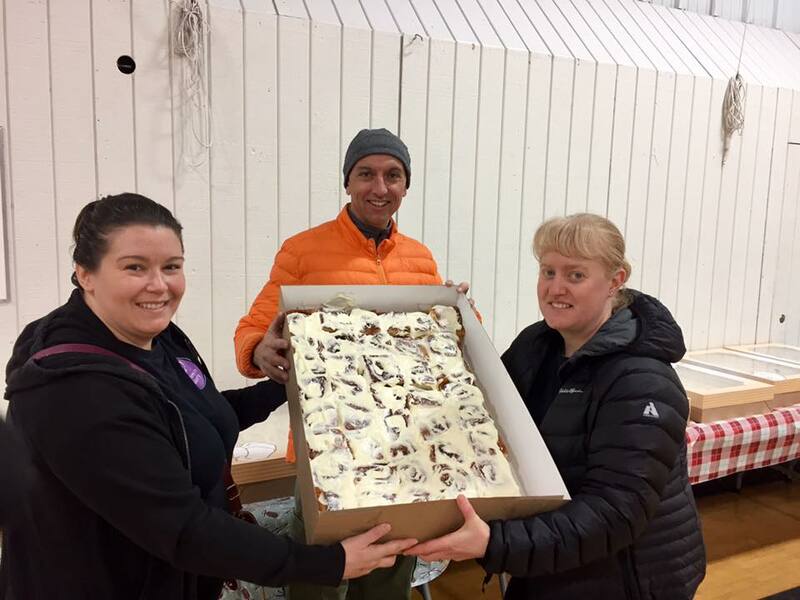 In 2016, a group of volunteers from the Ladysmith Resource Centre Association joined forces with the Ladysmith Striders Running Group and in 2017, the Ladysmith Resource Centre Association are now the lead organizers of the Cinnamon Bun Run Fun. The Ladysmith Striders Running Group continue to lend a hand in organizing this popular event. 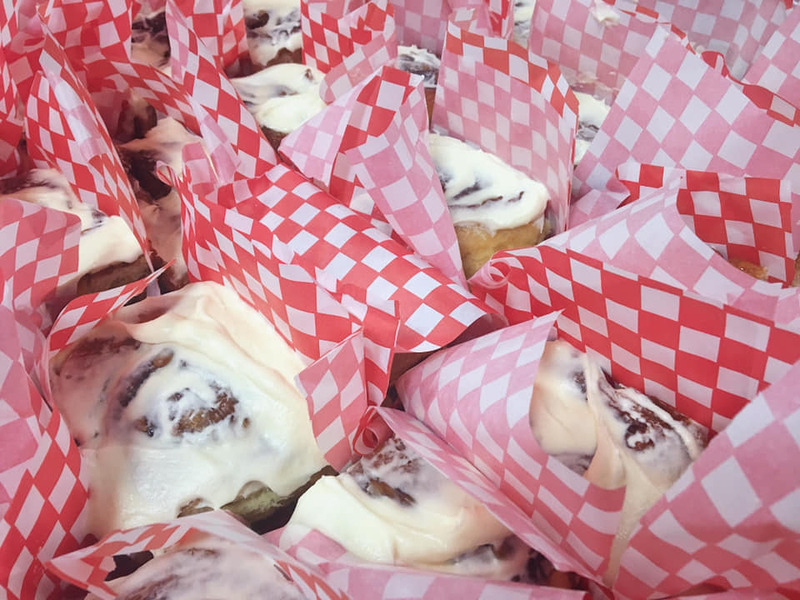 This year, the Cinnamon Bun Fun Run entry fee will be $20. This entry fee breaks down as a $10 commitment fee with the additional $10 to be used for the purchase of food for the food bank. This change provides better food bank purchasing power when buying from food suppliers and also provides more liquid resources that target better priced and more nutritious food for clients. The $20 entry fee will be collected when a participant registers online with RaceRoster for the event. As in years past, there is no same day registration for this event. Our commitment to make this a family friendly event continues where anyone under thirteen years of age will have their commitment fee waived and will be able to participate with just a $10 donation to support the purchase of food. And for every entrant that signs up and participates in this run, their $10 donation for buying food items will be received with thanks and much appreciated. Thanks to RaceDay Timing Services, RaceRoster is handling the Cinnamon Bun Fun Run online registration. Event registration will be available on the secure RaceRoster.com website when registration opens in the Fall 2019. This secure website will open in a separate browser window. Simply follow the 5-step registration process. Please note that a $20 entry fee will be required when you register for this event. In addition to our $20 entry fee structure, other cash donations to the Ladysmith Resource Centre Association will be gratefully accepted online. Any additional cash donations allows for a few extra groceries to be purchased for distribution during the holiday season. Follow the prompts during your registration process to donate using Visa or MasterCard. Already registered? Click here to check out the participant confirmation page. 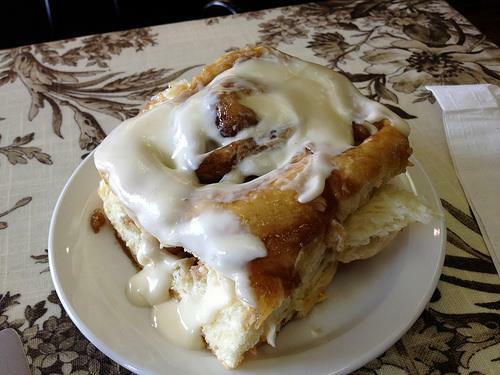 Your participation as a volunteer in the Cinnamon Bun Fun Run is needed. As CBFR volunteers, you will contribute enormously to the success of this annual running event. Please consider helping to make this Ladysmith event memorable. There are many ways you can help. We are anticipating a rise in participation for the Cinnamon Bun Fun Run so we are asking for some additional assistance in a number of areas. Volunteers would be welcome to assist us with participant bib pick-up on Saturday afternoon and Sunday morning, and the handling the donations of food items for the Ladysmith Food Bank on race day. We will also need a number of Course Traffic Marshals to help move vehicular traffic in and around the walkers and runners, and if necessary, lend assistance to runners and walkers out on the course. We invite volunteers to give-a-hand to assist us with the initial set-up Frank Jameson Community Centre venue and with setting up the start/finish areas. 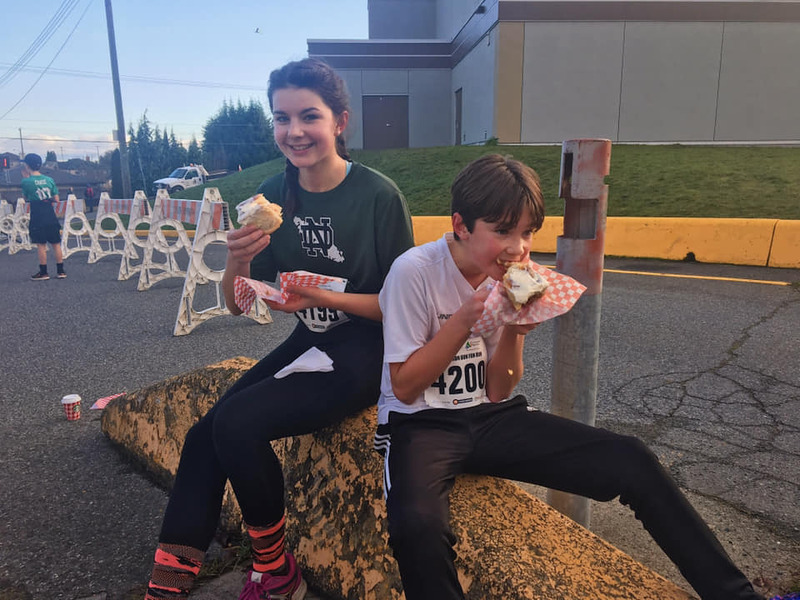 If you are participating in the Cinnamon Bun Fun Run this year, ask your family and/or friends if they would be interested in helping out and cheering you on to the finish. To volunteer for the Cinnamon Bun Fun Run Volunteer, please contact the LRCA at 250-245-3079 or send us an email. 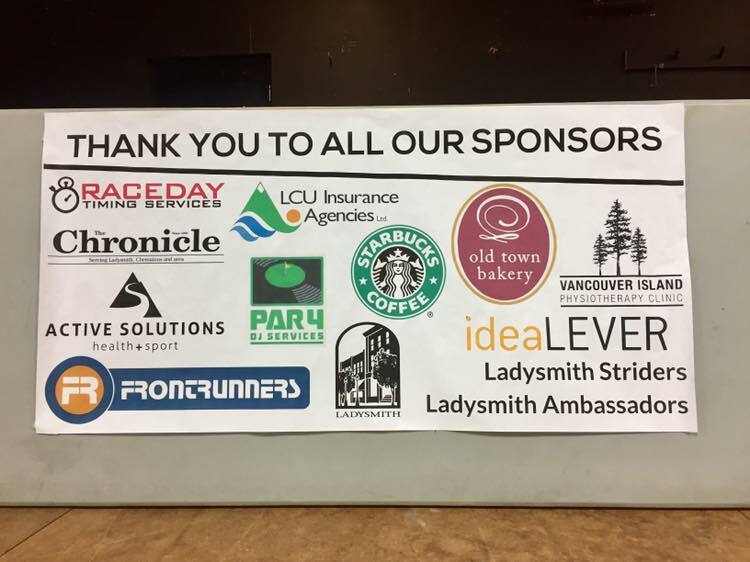 Cinnamon Bun Fun Run Sponsors have provided the means that allow the Ladysmith Striders to organize this event. Participants are urged to both consider our sponsors when shopping for their daily needs and to offer these businesses and organizations a thank you for supporting our community-minded event. The CBFR is a predicted time event. This means that even the walkers or slower runners have a chance to be declared the winner! It's not the person with the fastest time that finishes first... it's the individual who predicts the time it takes to complete their chosen distance and comes the closest to matching that prediction. This individual will be declared the winner. Sorry folks, no watches or heart rate monitors or phone apps allowed! As participants, you choose which distance you would like to predict your time on; you pick either the 5km course or the 10km course. And for your further awareness, both courses will be closed after two hours so there will be no predicted time accepted longer than two hours. Sorry, there are no walkers in the 10km distance. Can I enter the Cinnamon Bun Fun Run and cycle the course on my bike? Unfortunately, no. This presents a high speed obstacle that isn't conducive to a foot race. Can I enter the Cinnamon Bun Fun Run and push a baby stroller around the course? Yes, you can push a baby stroller during the race, however we ask that you start at the back of the start line. Can I bring my dog along for the fun run? No. Due to liability issues, dogs are not permitted on the course. Can I wear a wrist watch? No. This is a predicted time event where timing devices should not be used. This includes heart rate monitors and smart phone apps. Can I make a monetary donation to the Ladysmith Resources Centre Association on race day? Absolutely! We will have volunteers that can accept your cash donation and ensure it gets to the Ladysmith Resources Centre Association. We are not, however, set up to issue income tax receipts on event day. Sorry, we are not able to accept credit card donations. When is the event over and when is the fun run course officially closed? There is a 2 hr time limit on the event, so the course will close at 11:30am. For this reason, there are no walkers registered for the 10K distance. Is there a water station on the course? Yes, there is a water station at the 2.5 km/7.5km mark near the intersection of Dunsmuir and Bickle. Can anyone enjoy the cinnamon buns and beverages at the end of the race? Food provided at this event is for anyone who has participated in the run in any capacity. Is there a porta-potty along the course route? No. The event starts, loops around, and finishes at the Frank Jameson Community Centre which has ample washroom facilities. Is the Cinnamon Bun Fun Run a "closed course" event? No, it is an open course with Course Marshals provided. You must obey all traffic laws. Will there be First-aid coverage at the event? Yes, a first aid attendant will be available during the event. I have a sensitivity to nuts or nut-based products. Are there nuts in the cinnamon buns? Yes there could be traces of nuts. While there are no actual nuts in the cinnamon buns at this event, there can be traces of nuts as a result of the cinnamon buns being prepared in an area where cinnamon buns with nuts are made. If you have a nut allergy, do not consume the cinnamon buns.